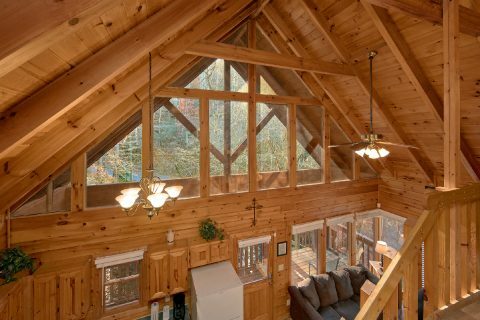 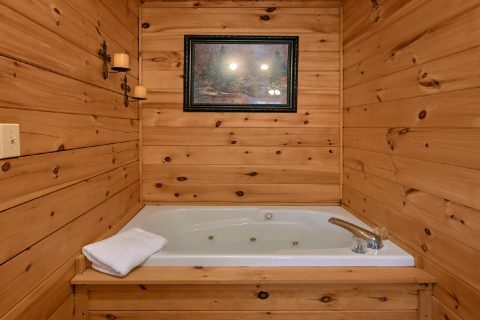 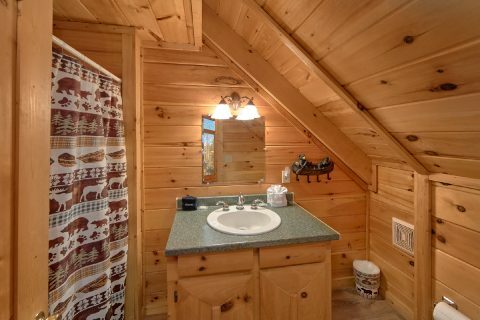 Located near the beautiful Glades road area of Gatlinburg, you'll find a charming cabin that's perfect for a family getaway or a fun weekend with friends! 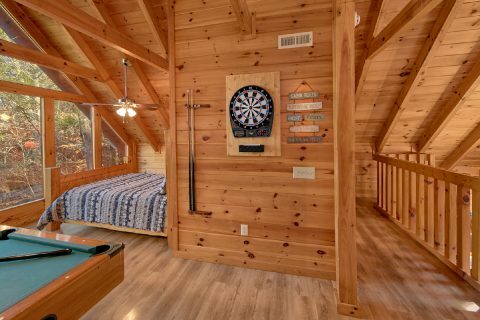 "Making More Memories" sleeps up to 8 guests in comfort and it boasts great amenities like a hot tub and a pool table to enjoy during your stay. 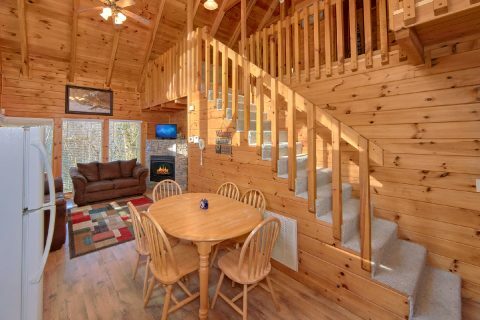 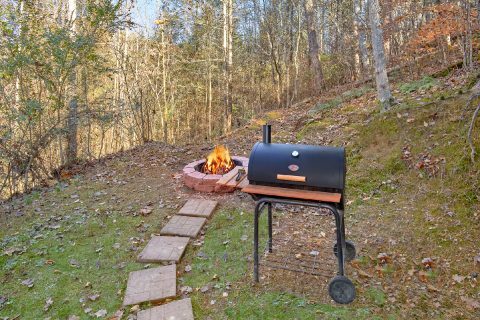 Best of all, this affordable cabin rental makes it easy to keep your Smoky Mountain vacation on a budget! 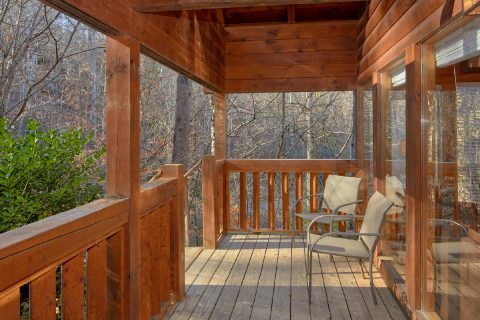 From this cabin's beautiful forested location outside of Sevierville, visitors can enjoy quick access to the region's top attractions. 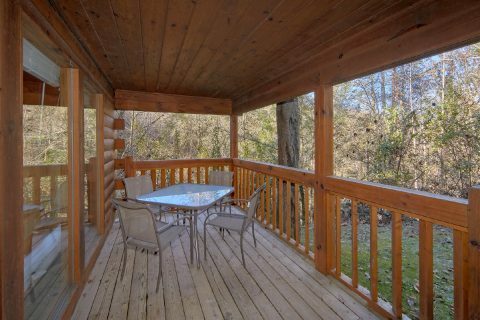 After all, Downtown Pigeon Forge and Gatlinburg are only 7 miles away from this rental and Dollywood Theme Park is only 6 miles away. 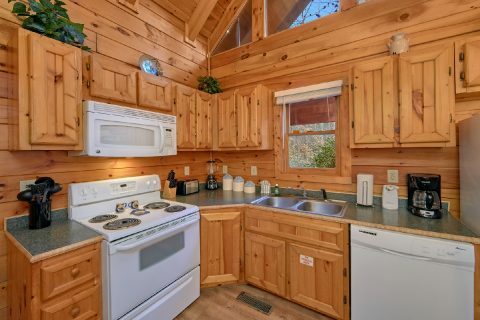 As an added perk, the scenic Glades road area near Gatlinburg is an excellent place to find unique mountain crafts made by local, skilled artisans. 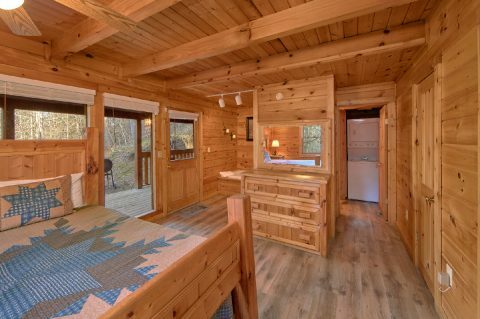 Back at your log cabin, you'll find everything you need to unwind after a great day in the mountains. 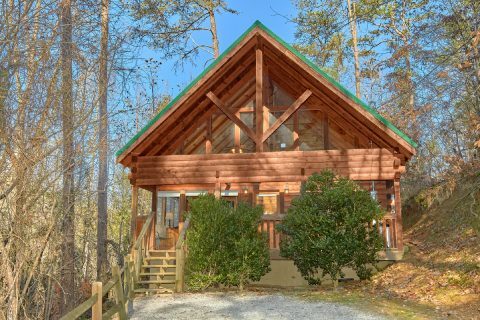 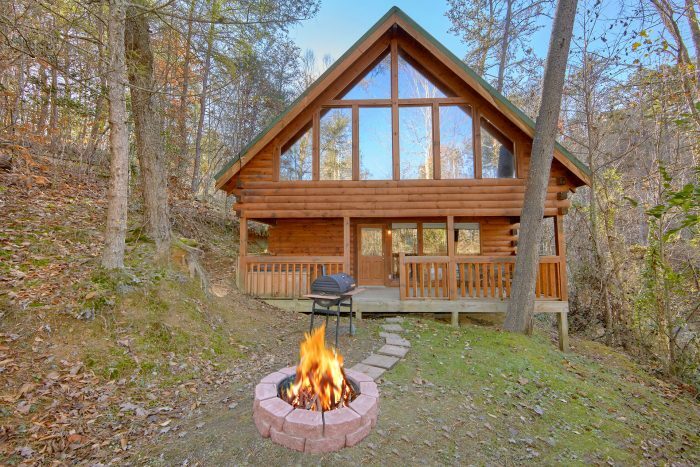 Throughout this rental, there are large picture windows that showcase this cabin's beautiful forested location and that also let in plenty of natural light. 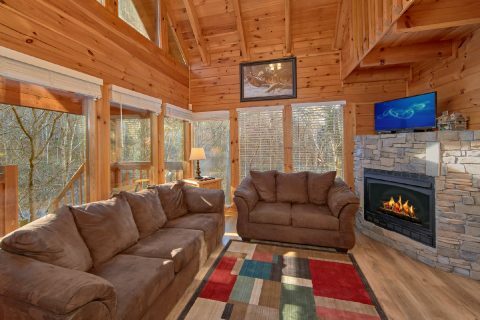 The main level is home to a full kitchen and a cozy living room complete with an electric fireplace and a television. 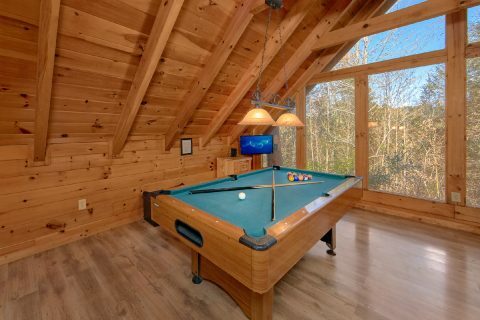 Upstairs, an open loft area houses your cabin's pool table. 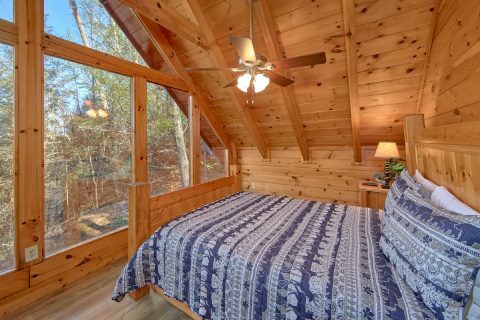 Nearby, you'll find a queen bed near large windows that showcase your cabin's lovely forested view. 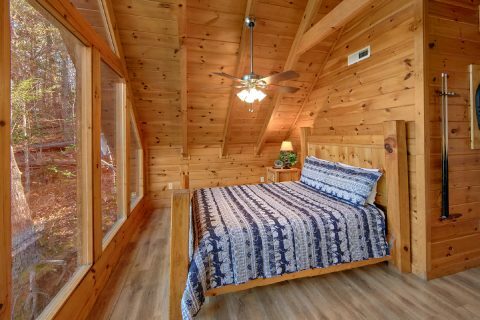 For even more comfortable sleeping space, the main level boasts a king-size bedroom with a television and an indoor jetted tub. 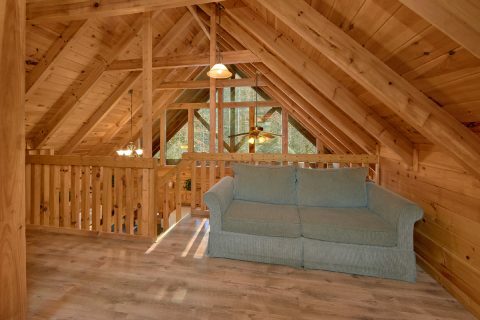 Additionally, 2 sleeper sofas are provided for extra sleeping space, so this cabin can accommodate up to 8 guests. 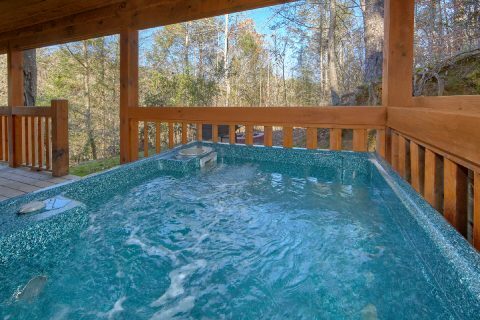 Outside on the cabin's spacious back deck, you can enjoy the beautiful mountain scenery while you kick back in your rental's outdoor hot tub. 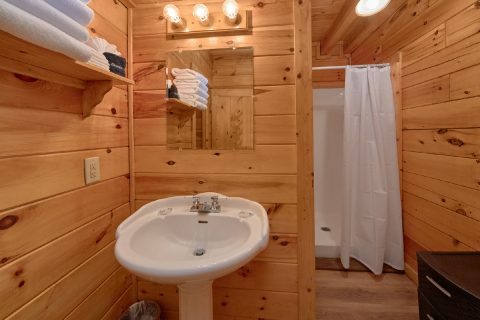 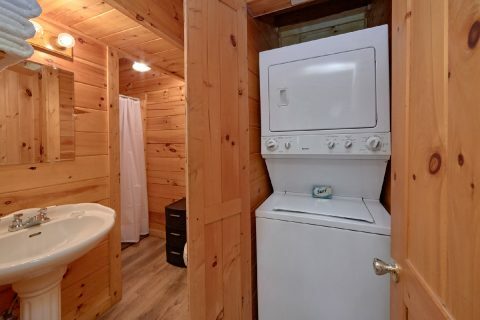 Additionally, this cabin comes complete with practical amenities like a washer/dryer and wireless Internet access. Book "Making More Memories" today with Cabins USA to save 15% on your nightly rate with our special cabin discount! 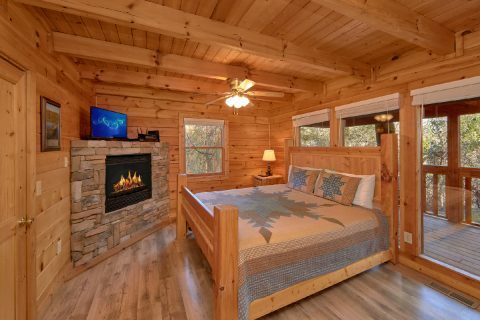 Enjoy a Great Smoky Mountain cabin vacation for less!